Bumps on the bottle are based on an understanding of the shape of the dome-shaped architectural roofs of Isfahan. 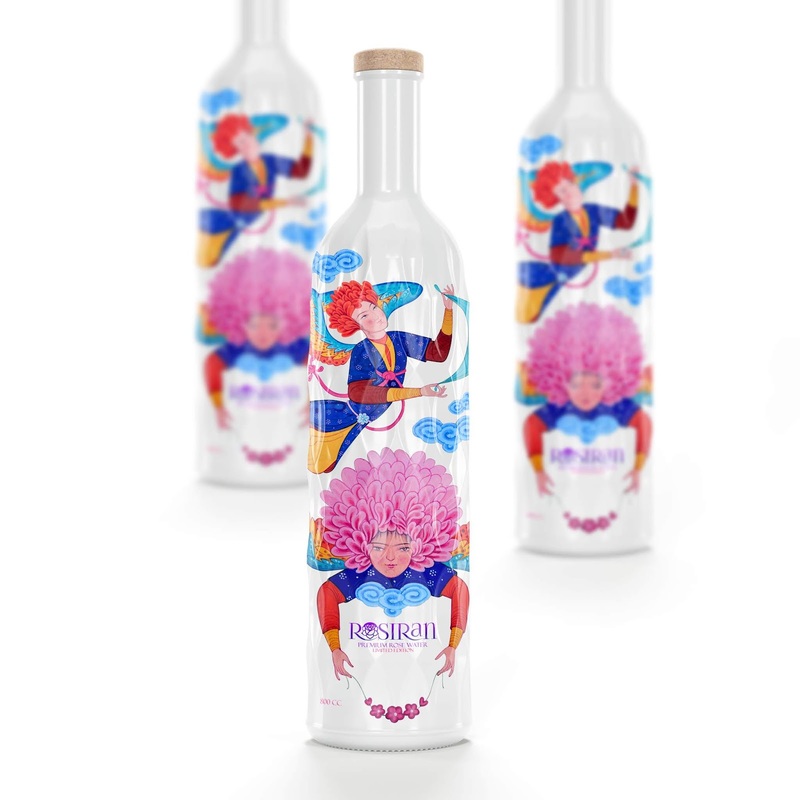 Label design with the idea of the celestial nature of the product (due to its high quality imitation) was used by Iranian art angels, with their hair flowing from the mud and flying round the bottle. The color of the glass will be shiny and will be printed directly on the glass.